MFE Rentals is dedicated to providing inspectors with tools and training they require to succeed in their industry. MFE offers three different interactive training courses that provide students with hands-on experience and extensive training in their respective field. 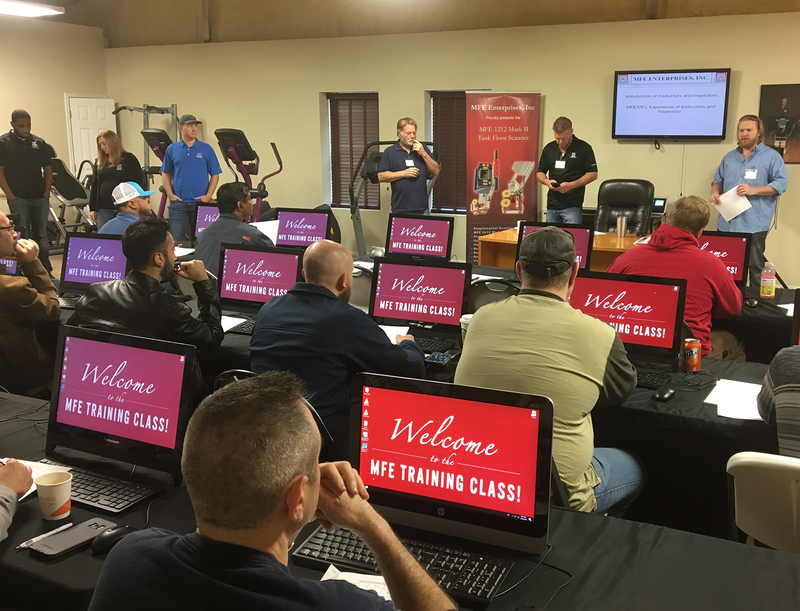 Our 40-hour MFL Training Class takes place at our headquarters in Dripping Springs, Texas. As a family-owned company, MFE is proud to offer students hands-on instruction directly from the Duke family. Instructors include Co-Founder Bill Duke who has over 30 years experience in the magnetic flux leakage technique as applied to oil country tubular goods, pipeline inspection, and tank floor inspection. MFL Training classes are limited to 15 students per session. Each class is divided into smaller rotating groups to ensure a beneficial learning experience. The course rotates between classroom instruction, shop demonstrations, and hands-on training on 28 ft tanks on site. Testing consists of 20 quizzes, one final exam, and a practical test. The curriculum meets the standards set by API 653 Annex G and SNT TC1A. Our two-day course prepares students for the FAA Part 107 exam for commercial drone operators, and provides introductory training to DJI Phantom 4 piloting. 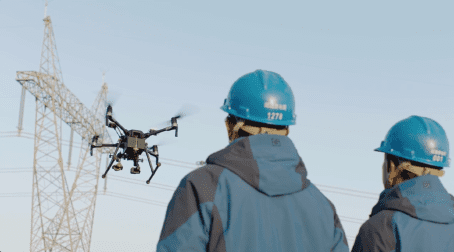 Our ﬁve-day course includes all instruction from our two-day course, and then also explores the complexities involved in advanced commercial drone operation for use in industrial environment inspection.